Hamburg and the Hamburg Metropolitan Region can be viewed as a brand: around the globe, people have certain positive perceptions about Hamburg and its surroundings – even if they have never been there in the first place. In 2004 and 2009, two comprehensive market surveys identified the positive perceptions people associate with Hamburg. The findings of these studies were used as a basis for developing the success pattern of the Hamburg brand, which comprises ten success modules. Hamburg’s brand strategy is firmly anchored in these modules. The communication pattern of the Hamburg brand provides consistent visual design features and thus ensures recognition across all communication channels. In 2014, a subsequent Germany-wide survey was conducted to identify certain features of the Hamburg Metropolitan Region (outside the city zone of Hamburg) that are known to the public and considered to be attractive. In its effort to attract entrepreneurs, professionals and tourists and to secure investment for Hamburg as a location, the Hamburg Metropolitan Region competes with more than 300 urban regions worldwide. 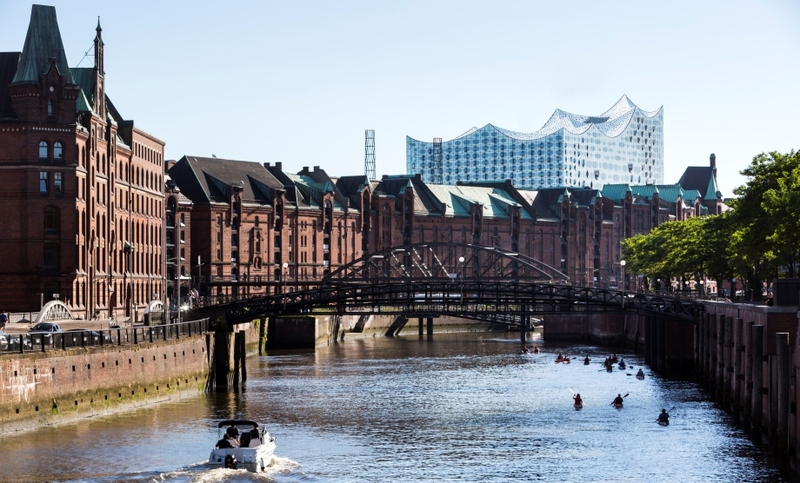 In response to this demanding competitive environment, Hamburg has adopted its strategic marketing plan 2013–2018, which aims to market Hamburg cross-institutionally. The marketing plan provides the cornerstones for increasing national and international awareness for and visibility of the Hamburg Metropolitan Region.